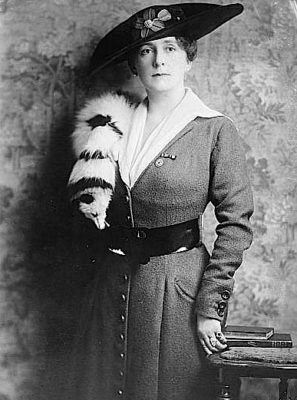 PHILANTHROPIST and horse breeder and patron of the arts and Palatist, Anita M. Baldwin. It’s easy to take old cookbooks for granted, easier still to think they have no value for other than a hot dish of nostalgia at the Thanksgiving table. But hidden within them are elements of culture, history, chemistry, politics, technology, economics, and fashion. Their recipes are part of the world’s autobiography. The 1933 Palatists Book of Cookery, compiled and published by, as it says on the frontispiece, “the Assistance League of Southern California,” makes for especially intriguing reading. Mrs. Anita M. Baldwin, chair of the “Palatists committee,” wrote the foreword. The book’s form is familiar — a number of celebrities are called on to contribute recipes to a cookbook that would be sold to benefit a charity: in this case, the Assistance League of Southern California, which is now, in our neck of the woods, the Assistance League of Hollywood. 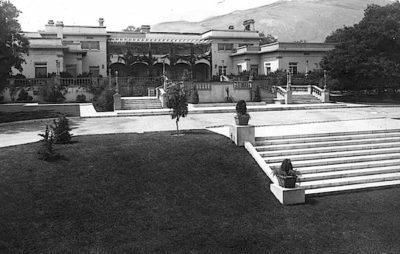 Anita Baldwin (1876–1939) was the philanthropist–horse breeder–patron-of-the-arts daughter of “Lucky” Baldwin (1828–1909), a swashbuckling real estate and finance baron of California; by 1880 he owned most of the San Gabriel Valley. The site of the Los Angeles County Arboretum was once part of his vast holdings. What, exactly, is a Palatist? I wondered. Anita Baldwin describes the Palatists as a “newly formed group catering to the needs of the inner man.” The word is her coinage, I suspect. The Assistance League then was up to interesting activities to benefit the community, as it is now (visit assistanceleaguela.org). But back to cookery. Recipe contributors provided Mexican, Spanish, Guatemalan, Brazilian, German, Chinese, Armenian, Belgian, Norwegian, Hungarian, Flemish, East Indian, Polish and Russian dishes: similar to the Los Angeles culinary adventures we know today. Many recipes describe more familiar fare of the time, such as Welsh rarebit — provided by Marion Davies. What was “table sauce?” The fine comedic actress calls for a teaspoon of it in her recipe. Or her publicist did, anyway. Maybe a Hearst secretary. So: Jimmy Durante (apple pie); George Raft (Berkshire soup); John Barrymore (lamb stew); Frederic March (asparagus soup); John Gilbert (chicken breast); Cary Grant (devilled oysters on half shells); Loretta Young (avocado-olive salad); Mae West (pumpkin pie Robert and “Cream Cheese” — 1 package Nippy cheese, ½ cup heavy cream). Anita Baldwin seems to have contributed a good portion of the recipes herself — signing her own name (Quince Chips) or her initials, A.M.B. (duck tangerine), or “From Anoakia,” the name of her famous 1913 mansion, in Arcadia, which was taken down in the early 2000s. Anoakia? Anita liked to invent names. ANOAKIA, Anita M. Baldwin’s home built in Arcadia in 1913. It was demolished circa 2000. I was sure that Mrs. Rosebudd Doble Mullender (chilis rellenos) was an Anita invention — until I looked up her juicy story. Rosebudd was Anita’s niece. Other recipe contributors were from prominent Southern California families: Mrs. Hancock Banning (president of the Assistance League), Mrs. Keck, and an Otis or two. Anita Baldwin reveals herself to be a collector of old recipes — in this respect, a woman after my own heart. “To Make a Delma” is attributed this way: “From the Receipt Book of Mrs. Ann Blencowe, A.D. 1694” and signed “from the collection of Anita M. Baldwin.” It’s a fascinating recipe — what Mrs. Blencowe calls a “delma” we know as dolma (unless the recipes were tampered with in the book’s 1925 edition, which Anita Baldwin may well have seen). A delma is, according to the directions, stuffed cabbage. “Cabbage or vine leaves: Dip them in hot water, then role the meat in ye leaves about the bigness of a Cucumber, and tye them with coarse thread,” just as my own grandmother taught me, three centuries after the 17th.